The place at Wisut Kasat intersection is a GIANT rip. 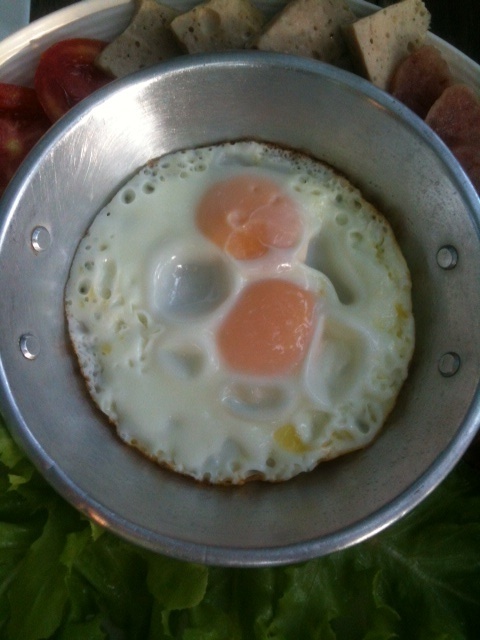 75 baht for kai gataa (one egg), with two pieces of khnom paang yod sai, and coffee came to 130 baht. 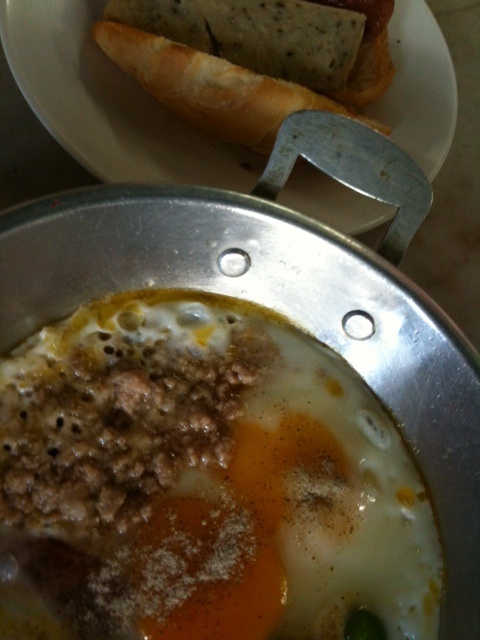 Same meal, with two eggs, much better bread and more stuffing, is 50-60 baht anywhere in Isaan, and 50 baht in Saphan Kwai. Maybe so…location definitely plays a part in price. American Fried Rice sounds horrific. Eggs and raisins?!? Your description of Kai Gataaaaaa however is making me have unkosher fantasies. It’s not that bad. I would think the horrible part would be the ketchup and peas! All this time I thought the nearest-available kai gatat was in Khon kaen …thanks BKK glutton! You’re welcome! Maybe someday we will go have steak and eggs. Aw, thanks! 🙂 I hope we meet up someday too!